Your neck is made up of vertebrae that extend from the skull through the upper torso and spine, and it offers support to the most important body part: your head. So when you feel discomfort, stiffness, or sustain an injury resulting in neck pain, you need a solution and you need it pronto. At Neck and Back Medical Center, we have the tools and the incredible team to help you treat and manage your neck pain. 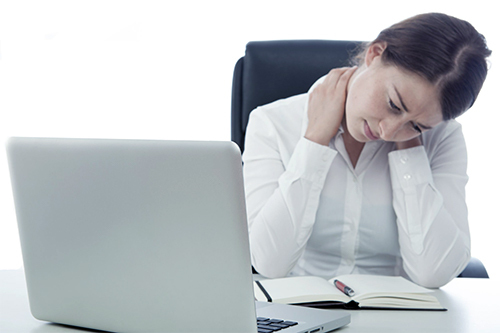 Neck pain is a condition that often subsides on its own after a few days of ice, rest, and careful movement. Causes include poor posture, sleeping with your neck in an abnormal position, or lifting something that was just a little too heavy just a little too quickly. But sometimes, the problem isn’t that simple and neither is the solution. If you suffer from consistent and continuous neck pain symptoms, you need a more specific plan for healing and relief. At Neck and Back Medical Center in Laguna Hills, California, we can help you find the treatment method that will eliminate your pain and restore your hope. Our expert medical doctors and therapists work together to help you return to full functionality, range of motion, and comfort level. By strategizing and working as a unit, our team develops solutions that work for even the most difficult and complex cases. We aim to eliminate your neck pain without using drugs or surgery, but by progressive neck stretches and other non-invasive techniques. Using state-of-the-art technology, like our Decompression Therapy system, our team won’t give up until you are feeling like your best self. That’s why Neck and Back Medical Center is known for its ability to help patients who have a long history of failed treatments. See our pain treatments methods for more information on how we can help you improve your life. If you’re ready to move forward from your neck pain and return to your best, healthiest life, it’s time to pay us a visit in Laguna Hills, California. We provide the highest quality of care possible to develop comprehensive solutions for a series of conditions. Our physicians look forward to helping you feel your best, so give us a call at (949) 859-6600, or schedule an appointment online. For more information, check out our website or send us an email at info@neckandback.net.